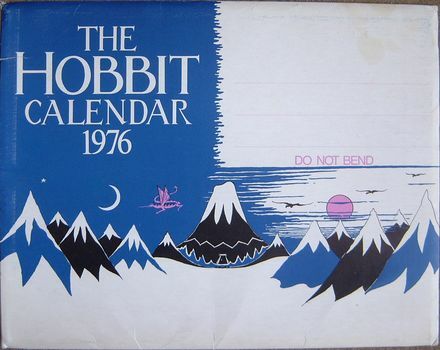 Where it all started: The 1969 calendar with illustrations by Tim Kirk. 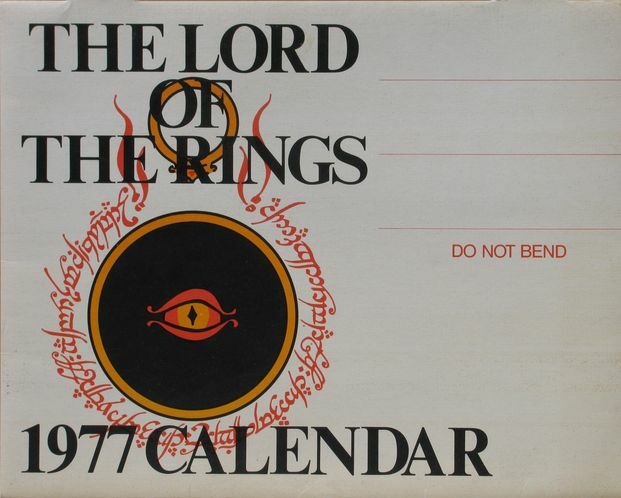 It is still possible to find most of these (some with more patience than others) in like new or even mint condition. 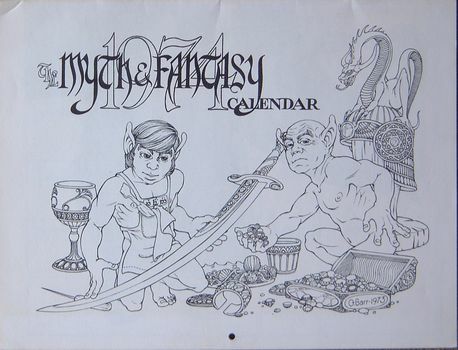 A little known (except among collectors) fan art calendar; illustrations by Tim Kirk (see 1975 Ballantine following.) 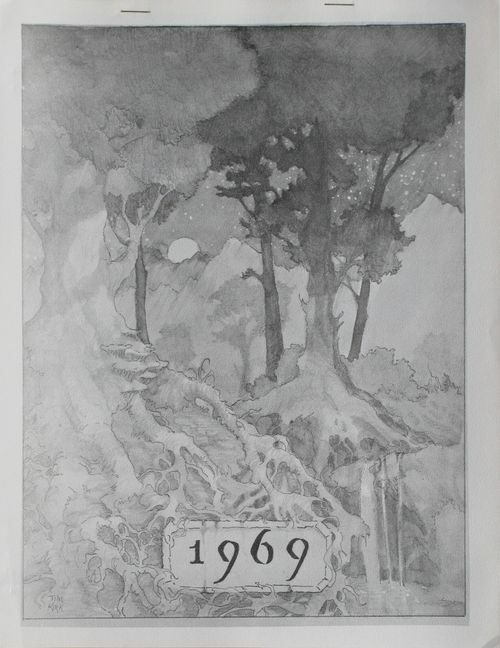 It was an insert into the December 1968 issue of Meretricious, Shangri l'Affaires Christmas Art Supplement 1968 edited by Ken Rudolph and Jim Schumacher. Ken et al were active in the Los Angeles Science Fiction Society (LASFS.) 8.5 x 11 inches (w x h); six pages with cover. "The J.R.R. 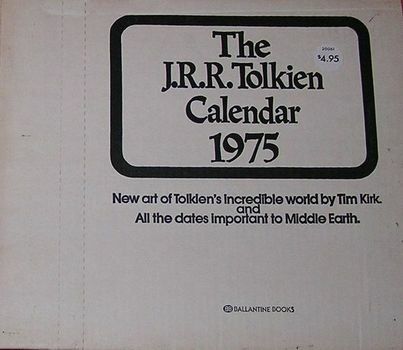 Tolkien Calendar 1973" First of the official Tolkien calendars; orange cover. 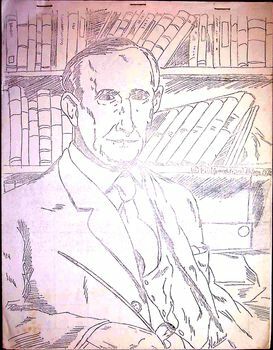 Illustrations by Professor Tolkien and Pauline Baynes. Dimensions: 13 x 12.25 inches (w x h); stapled; punched hanging hole; heavy-weight cardboard mailer. "The J.R.R. 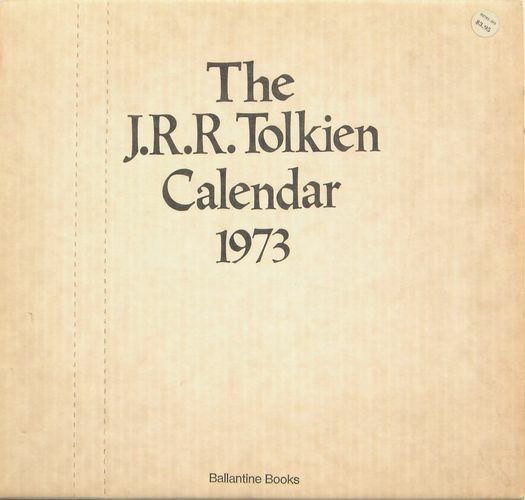 Tolkien Calendar 1974" Same illustrations as the 1973 Ballantine; lavender cover. Dimensions: 13 x 12.25 inches (w x h); stapled; punched hanging hole; heavy-weight cardboard mailer. 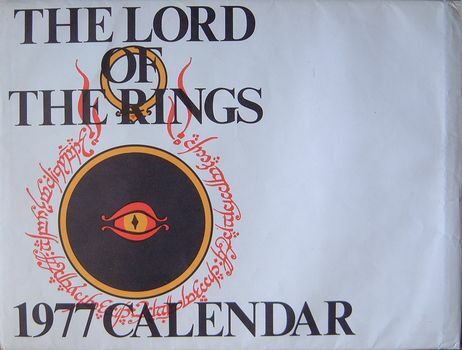 “The Myth and Fantasy Calendar” Created by Jonathan T. Hodge. Illustrations by nine different artists. 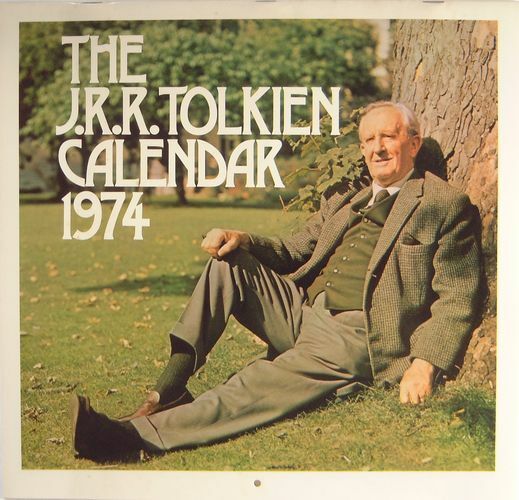 It's an "oddity" in that only one illustration (see September) relates to Tolkien. 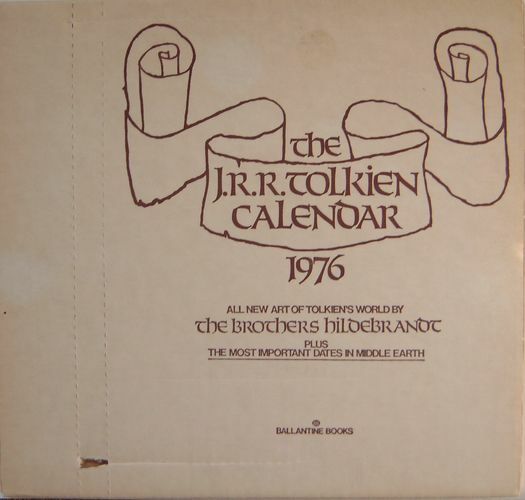 But there are illustrations by Tolkien legends in here: Tim Kirk and the late Bernie Zuber (of The Tolkien Fellowship.) Limited edition of 1,000. 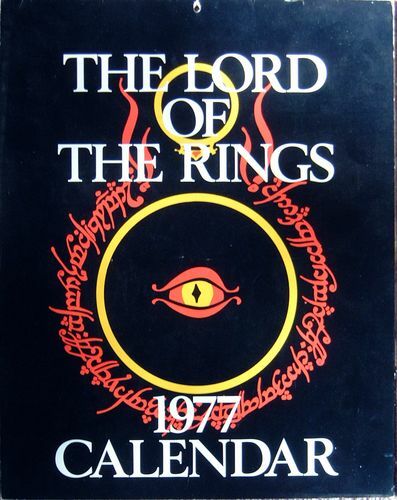 (My copy is 22/1000.) 11 1/4 x 8 1/2 inches (w x h); stapled on the fold; punched hanging hole. "The J.R.R. 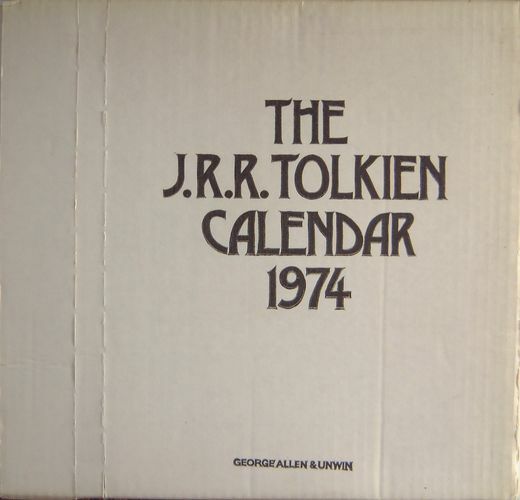 Tolkien Calendar 1974" First of the series publish by Allen&Unwin. 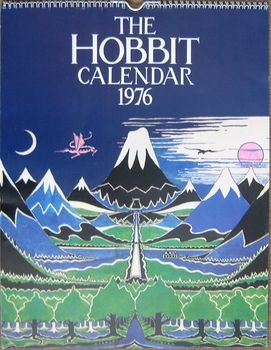 Illustrations by Professor Tolkien and Pauline Baynes. Dimensions: 13 x 12 3/8 inches (w x h); stapled; punched hanging hole; heavy-weight cardboard mailer. 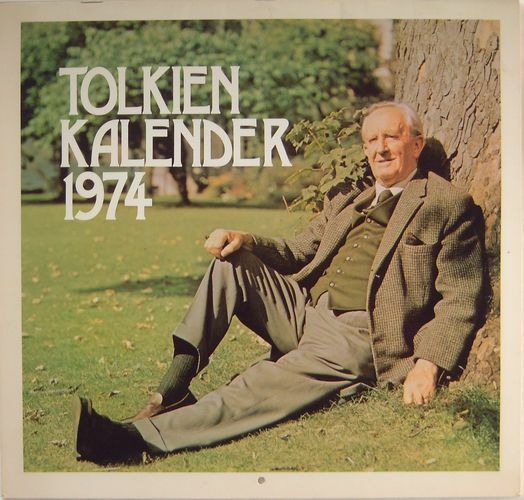 VARIANT: "Tolkien Kalender 1974" The first Dutch Tolkien calendar. 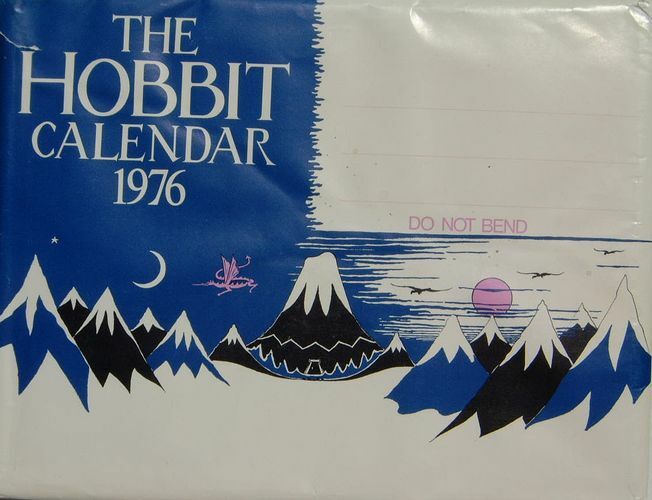 First of numerous "variant" calendars: licensed by Allen&Unwin or Ballantine and translated into the language of the country in which it was issued. 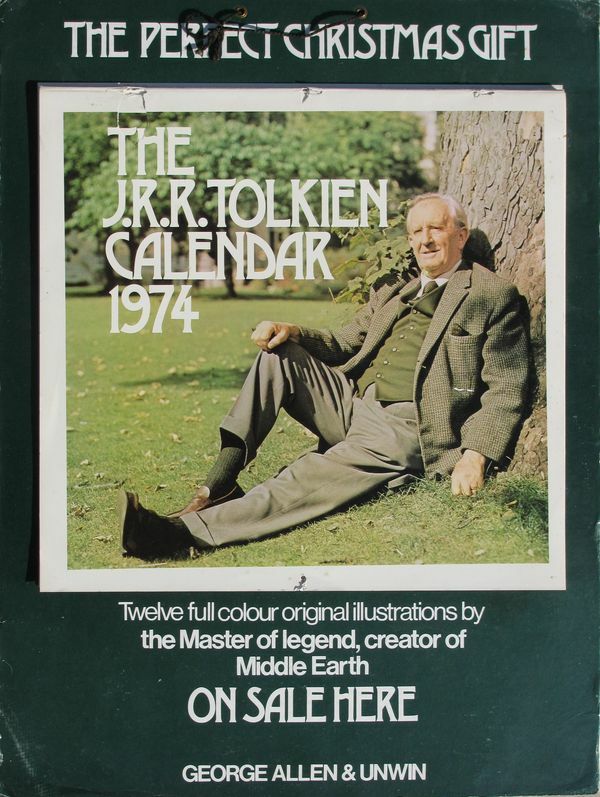 Same illustrations as the 1974 A&U (Professor Tolkien and Pauline Baynes) but all text in Dutch. Dimensions: 13 x 12 3/8inches (w x h); stapled; punched hanging hole; heavy-weight cardboard mailer. "The J.R.R. 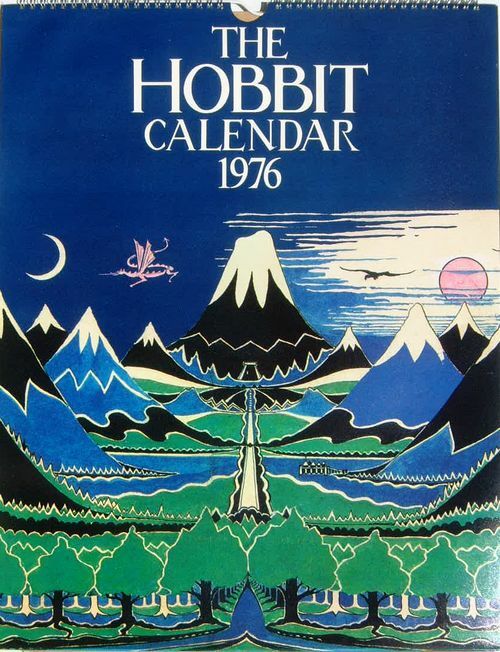 Tolkien Calendar 1975" First of the calendars by an illustrator other than Professor Tolkien. 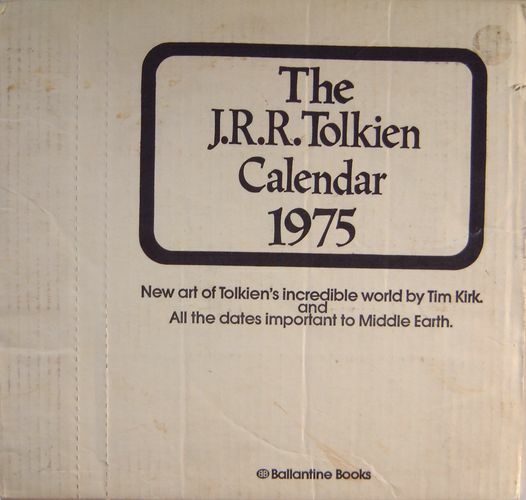 The artwork was a portfolio done by Tim Kirk. Mr. Kirk spent 25 years as a Disney Imagineer and now has a design firm in Long Beach, CA. Dimensions: 13 x 12.25 inches (w x h); stapled; heavy cardboard mailer. “The Pant-Hoot J.R.R. 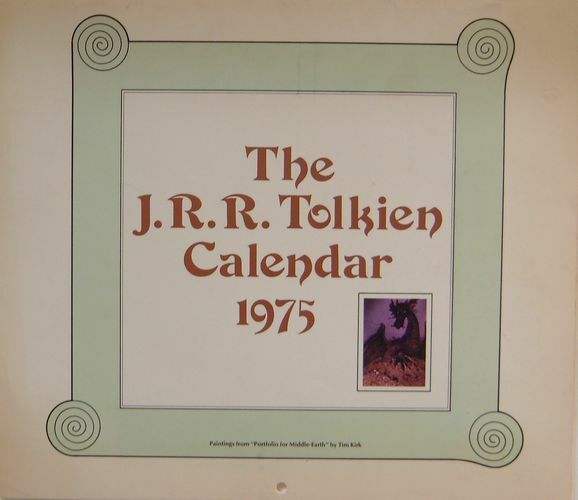 Tolkien Memorial Calendar 1975” First of the calendars by the American Tolkien Society. Illustrations by Philip W. Helms. 8.5 x 11 inches (w x h). 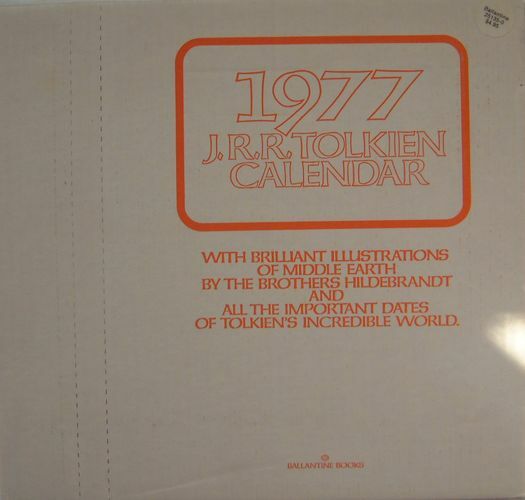 Rarity: 10 I know of three copies of this calendar. 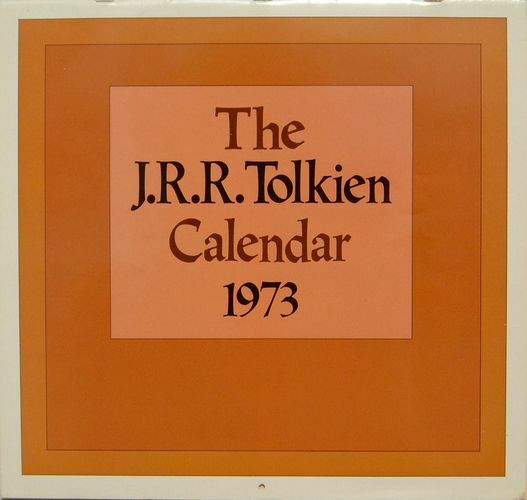 "1976 J.R.R. 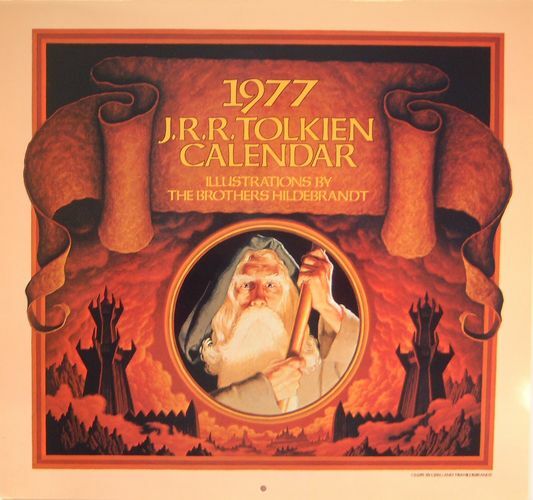 Tolkien Calendar" Illustrations by the Brothers Hildebrandt. 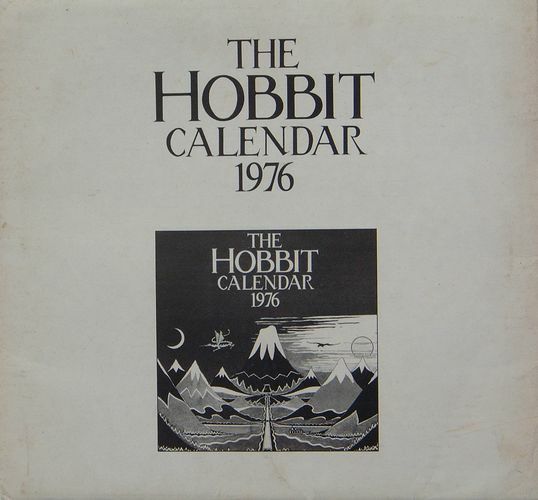 First of the trio (1976, 1977, and 1978) that they did. Dimensions: 13 x 12.25 inches (w x h); stapled; punched hanging hole; heavy cardboard mailer. 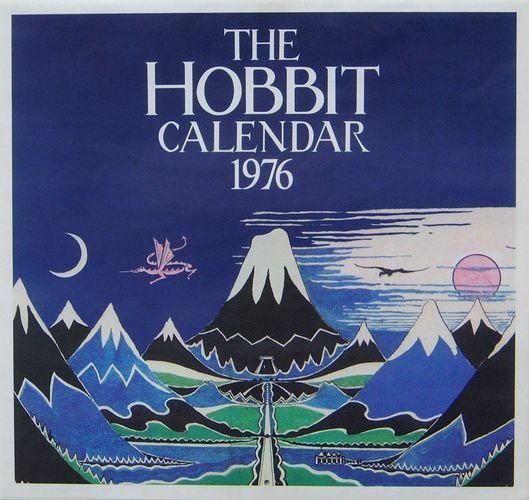 “The Hobbit Calendar 1976” Illustrations by Professor Tolkien (coloration by H. E. Riddett). 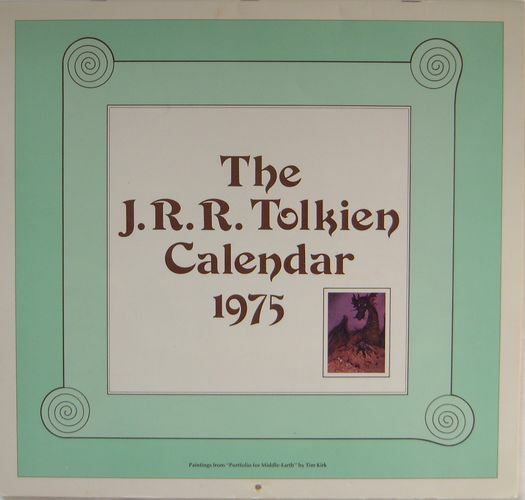 Dimensions: 13 7/8 x 15.5 inches (w x h); wire bound; heavy wire hanging loop; medium-weight paperboard mailer printed with theme similar to the cover of the calendar. 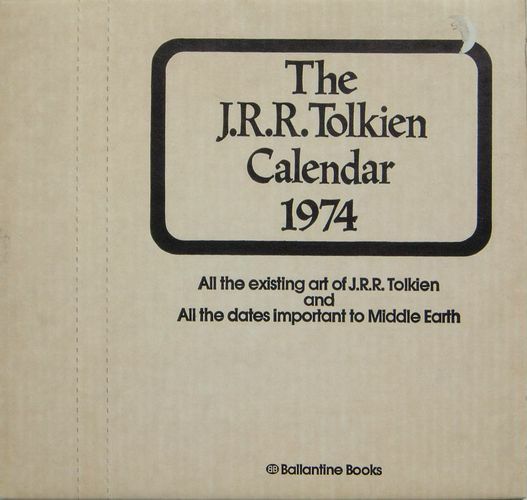 "1977 J.R.R. 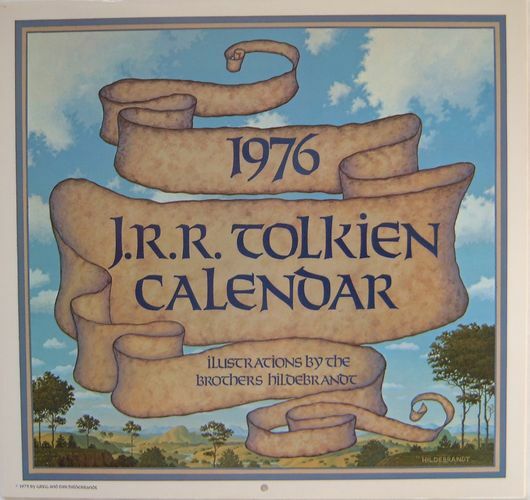 Tolkien Calendar" Illustrations by the Brothers Hildebrandt. 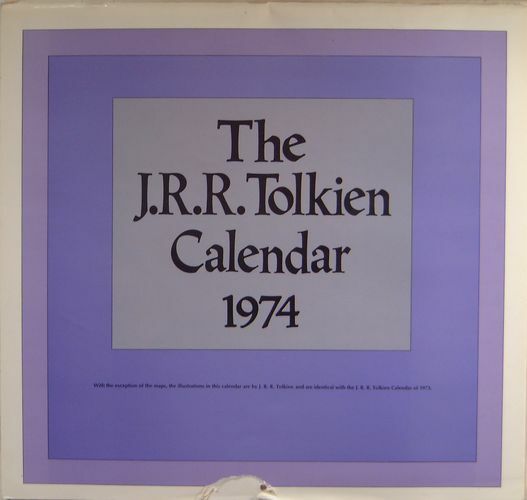 Second of the trio (1976, 1977, and 1978) that they did. Dimensions: 13 x 12.25 inches (w x h); stapled; punched hanging hole; heavy-weight cardboard mailer. 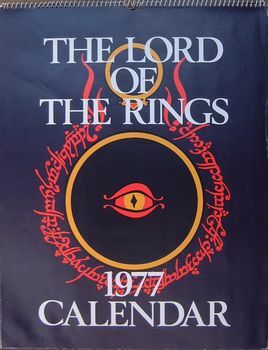 “The Lord of the Rings 1977 Calendar” Illustrations by Professor Tolkien. 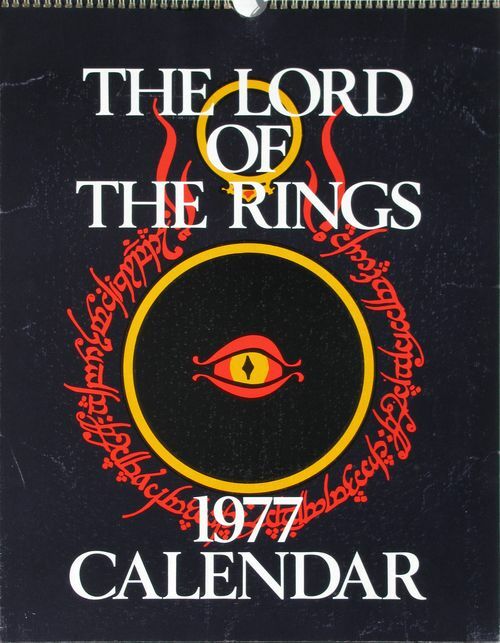 Cover: "Eye of Sauron". End page has some nice notations added by his son, Christopher. 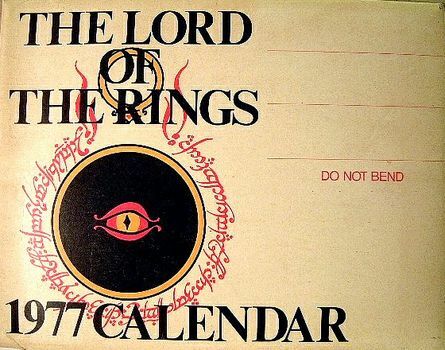 Dimensions: 11 7/8 x 15 inches (w x h); wire bound; heavy wire hanging loop; medium-weight paperboard mailer/envelope printed with theme similar to the cover of the calendar. 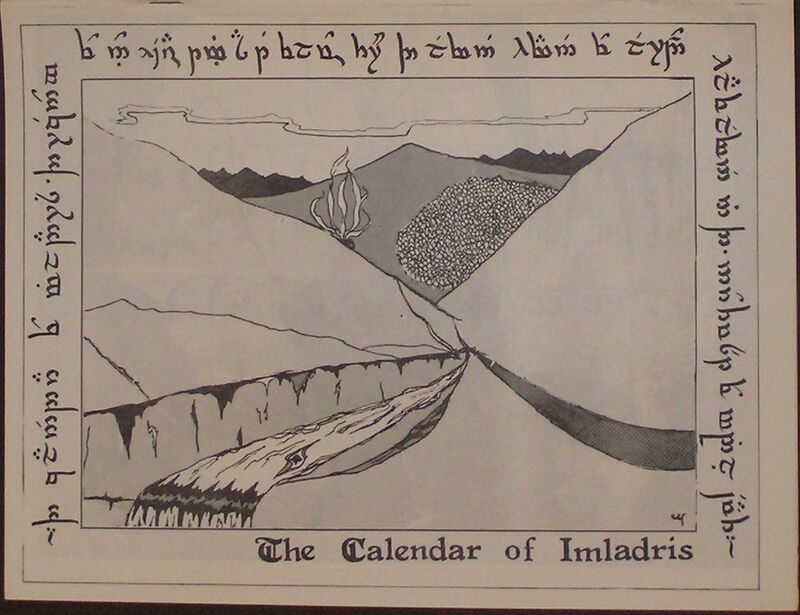 "Calendar of Imladris" Fourteen black and white illustrations by John Pivovarnick, Michael Logan, Tom Santoski. Dimensions: 11 x 8.5 inches (w x h); stapled on the fold.